Our ranch in Summer of 2001. It is starting to look like an orchard. Our "Little House on the Prairie". A result of much labor and plenty of love. A beautiful silhouette of a California Oak tree. 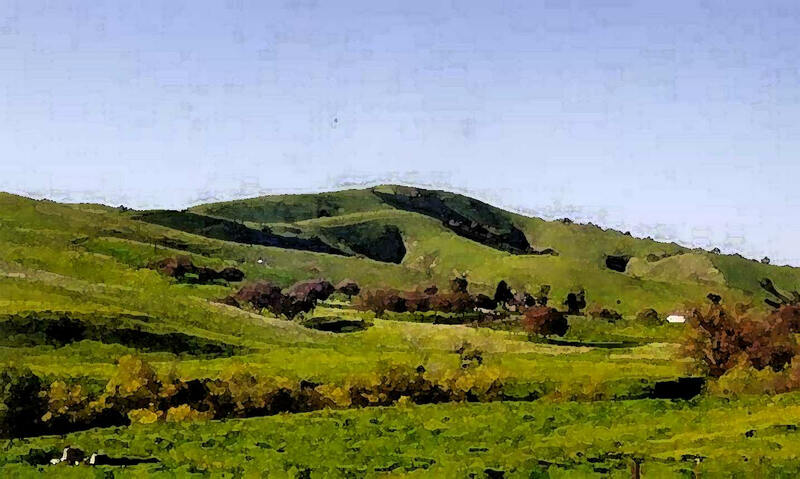 This is a computer generated water color painting of the ranch view from the East.